Dr Steve Etches MBE is a plumber by trade and began collecting fossils from the Kimmeridge Clay over 35 years ago. His fossil collecting began at the age of 5 with a flint fossil sea urchin which he found in his back garden. 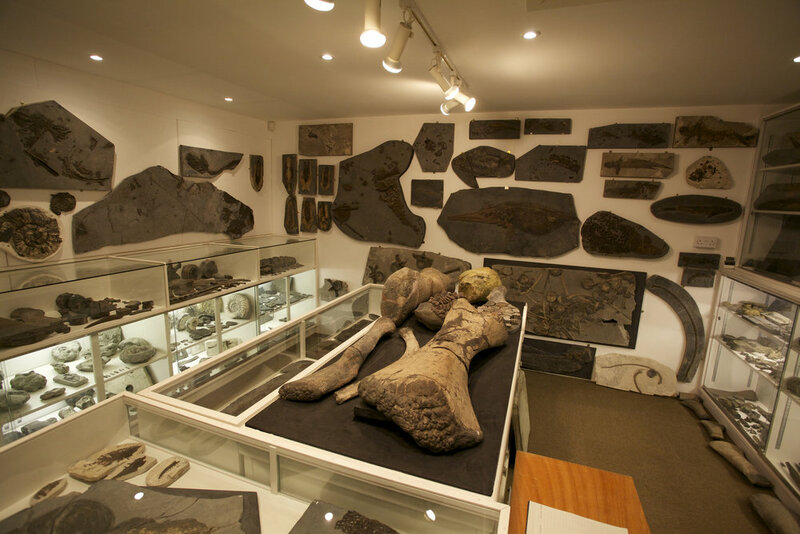 Completely self taught, what began as a hobby has now resulted in a collection of over 2300 fossils all from the Kimmeridge Clay and Kimmeridge locality, which were once housed in a converted garage at his home in Kimmeridge and are now on display in our amazing Heritage Lottery funded museum. Steve has become a renown expert on fossils from the Kimmeridge Clay, its has always been his wish to donate the collection to the nation so that generations can learn from the amazing specimens and their ‘Stories from Deep Time.’ Approximately 10% of the collection is on display - those specimens which are the most scientifically important and stunningly beautiful, fossils which show the evidence of their place in Earth’s history. Steve has also published a number of jointly authored papers on the fossils in his collection, including on predation (Clarke &Etches, 1991; Etches & Clarke 1993), the Kimmeridge Clay ammonite fauna (Énay et al., 2014; Gallois &Etches, 2010), ammonite eggs (Etches et al., 2009), and jointly described the monofenestratan pterosaur Cuspicephalus scarfi Martill and Etches, 2013 (see also Witton et al., 2015) and the metriorhynchid crocodylian Torvoneustes coryphaeus Young et al., 2013. Steve has also published a book describing his collecting activities and collection ‘Life in Jurassic Seas’ (Etches and Clarke, 2010).